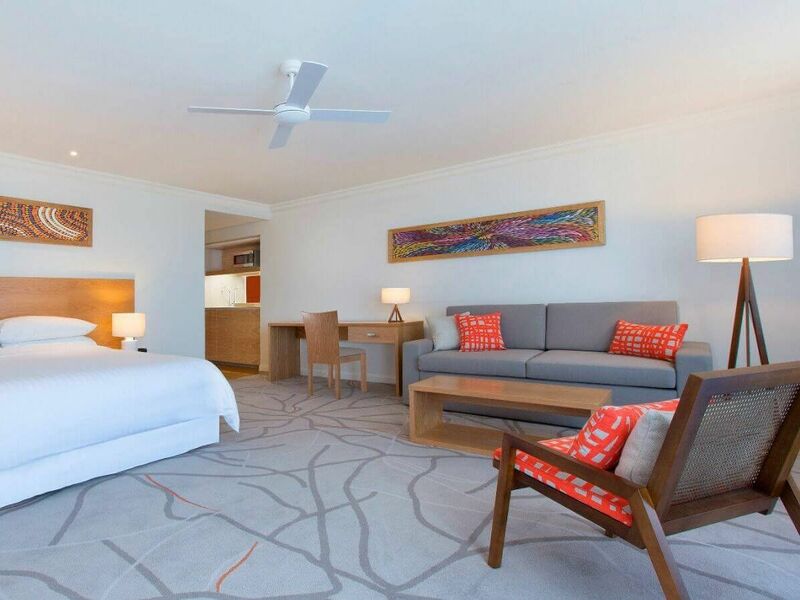 Village View Rooms provide everything you need for a truly relaxing stay. Furnished balconies offer views of the local area. Interiors are accented by local artwork and feature a sofa, upholstered side chair, a 42-inch LCD TV, kitchenette and dining table. Rest comfortably, choose a room with either a king or two double beds and rejuvenate in the large bathroom with glass-enclosed shower and separate spa bathtub. 55 square metres. 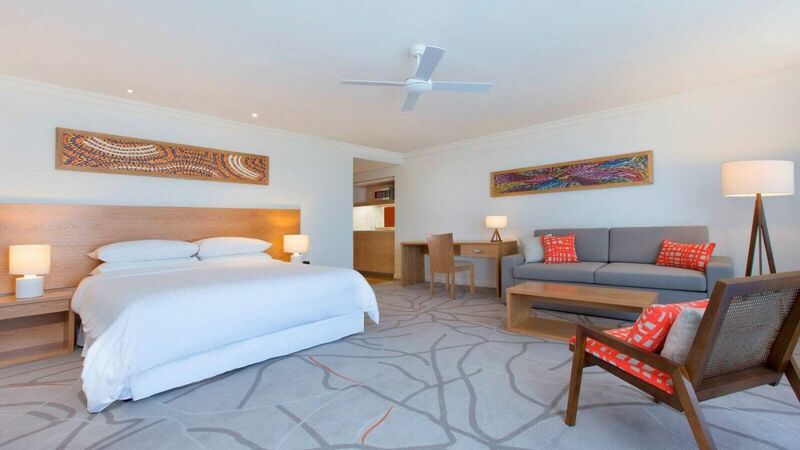 River View Rooms are furnished with balconies offering views of beautiful Noosa River. Interiors are accented by local artwork and feature a sofa, upholstered side chair, a 42-inch LCD TV, kitchenette and dining table. Rest comfortably, choose a room with either a king or two double beds and rejuvenate in the large bathroom with glass-enclosed shower and separate spa bathtub. 55 square metres.